Sir Paul addressing a meeting. 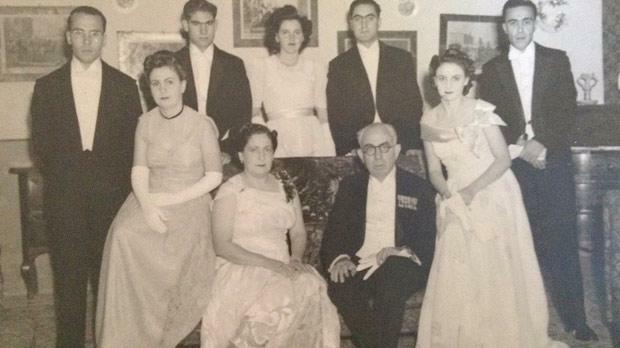 Sir Paul Boffa (seated, centre) with family and friends. There was no breaking news on the internet or live news coverage at the time. But news on the passing away of Sir Paul Boffa 50 years ago today, spread across the island like wildfire. The 72-year-old former Prime Minister had passed away, completely cut off from the Labour Party which he had helped set up. And in the past 50 years he has not been given the due credit for all the achievements he brought about for the benefit of all Maltese. In fact, according to his biographer Desmond Zammit Marmarà, “the verdict of history on Sir Paul Boffa has been distorted and unfair”. Most of the political and socio-economic progress in Malta achieved by the government of Dom Mintoff was based on the pioneering work carried out by Sir Paul before him. Sir Paul’s political work from the 1920s to the 1950s “created the conditions which made it possible for Dom Mintoff to use his undeniable talents to transform Malta into a modern-day island state”, according to Mr Zammit Marmarà. Sir Paul first contested a general election on the Labour Party ticket, which was at the time still a very small party with limited power, in 1924. He was also re-elected in 1927 when the Labour Party supported Gerald Strickland’s Constitutional Party. By then he had become a regular politician in the Labour ranks and it was not surprising that he became party leader in 1928. Mr Zammit Marmarà ex­plained that the 1927-1932 government led by Gerald Strickland “will always be remem-bered for its great number of achievements and its tragic end as a consequence of the politico-religious dispute in which it got embroiled”. During the 1920s and 1930s, Sir Paul was one of the most prominent champions of Maltese language, working hard to accord it the status which it deserved as Malta’s vernacular and being ridiculed and denigrated in the process. Meanwhile, as a result of a politico-religious dispute between 1928 and 1932, the Nationalist Party made a colossal victory at the polls in 1932 to the detriment of the Constitutional and Labour Parties. In fact, it was only Sir Paul who was elected on the Labour ticket, and “the period between 1932 and 1939 was the most difficult in the history of the Labour Party”. It was in the period leading to the granting of the 1947 self-governing Constitution that Sir Paul achieved significant gains for the Maltese. The party had included compulsory education in its manifestos since the first general election in 1921. In the 1945 Council of Government, the Labour group, prodded the British Administration to better education. The result was the Compulsory Education Ordinance of 1946 which made it compulsory for children aged six to 14 to attend school. Another important achievement for Sir Paul was the granting of the vote to women over 21. All his efforts were rewarded in the general election of 1947 when the Labour Party won hands down. 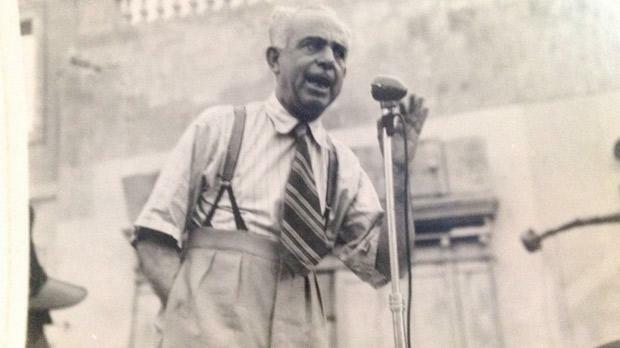 He reached the apex of his career by becoming Malta’s first Labour Prime Minister. During that legislature, there were another number of achievements including the Old Age Pensions Act of 1948 and the Income Tax Act of the same year. However, then came what Mr Zammit Marmarà describes as the “tragic events” of 1949 which led to the “split” in the Labour Party. The main quarrel between Sir Paul and his deputy leader, Dom Mintoff, was about Malta obtaining a share of the Marshall Aid and how the Labour government was to negotiate with the British over it. “It was both a clash of personalities and of approach towards solving political and diplomatic relations. Mintoff’s negotiating approach was volatile and aggressive while Boffa’s was calm and diplomatic,” he explained. Sir Paul decided to put the national interest first, concentrating on the issue being negotiated with the British while Mr Mintoff was more politically astute and concentrated on building his power base in the party. Mr Mintoff in fact became leader of the party while Sir Paul was still Prime Minister. At one point, Sir Paul’s decisions and behaviour became controversial, especially when as leader of the Malta Workers’ Party he formed a coalition with the Nationalists. However, by the 1955 general election, the Malta Workers’ Party had ceased to exist while Mintoff’s Labour became ever stronger. It still baffles Mr Zammit Marmarà how Sir Paul had tried to get himself re-admitted to the Labour Party and asked to contest on the MLP ticket. Thus Sir Paul, “a great politician by any standards” exited from the Maltese political scene. One ardent admirer of Sir Paul’s is his nephew, former Museums Curator, Fr Marius Zerafa, whose mother, Sir Paul’s sister, was very close to him. He used to visit their house practically every day and during the war they lived in the same house with him. Fr Marius has kept all that has appeared about him in the press and has supplied a lot of information in writings about him. His contribution to the war effort, when he was responsible for the worst bombed areas in Malta, is well documented. Fr Marius recalled that his mother, his only sister, used to help him run his surgery at Paola, after coming back from Gallipoli in World War I. “I was certainly influenced by his ideas. As a boy, I remember him talking about social services, votes to women, etc, so I never had any doubts as to where I stood. In fact, he never encouraged his children to take up politics. His elder son, a doctor, he sent off to England, another son, an architect, was also sent abroad. Fr Marius was on the committee to put up his monument and insisted on having it near Castille (it was originally planned to be near the Portes des Bombes). Since Mr Mintoff wanted a low base, Fr Marius had to wait for 15 years and then, as director of museums, could design a new base and put the statue higher. He also paid to have the bronze bust at Vittoriosa. Now this year, on the 50th anniversary of his demise, the Labour Party is organising an exhibition at the headquarter’s foyer about Sir Paul, his political achievements and his life as a doctor. 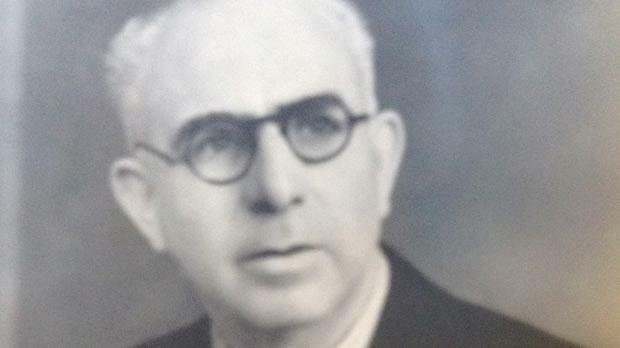 A translation of Mr Zammit Marmarà’s biography – Paul Boffa: Malta’s First Labour Prime Minister – has also been published. It was translated by Anne Schranz, Sir Paul’s granddaughter.